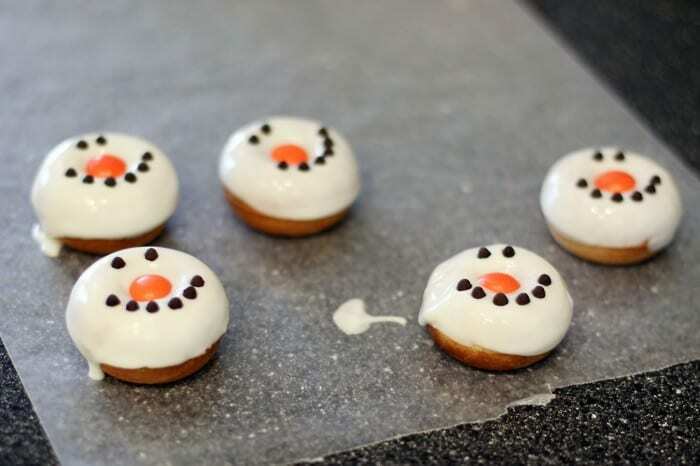 I recently came across the cutest winter holiday donut decorating ideas on Pinterest and just had to try them myself. 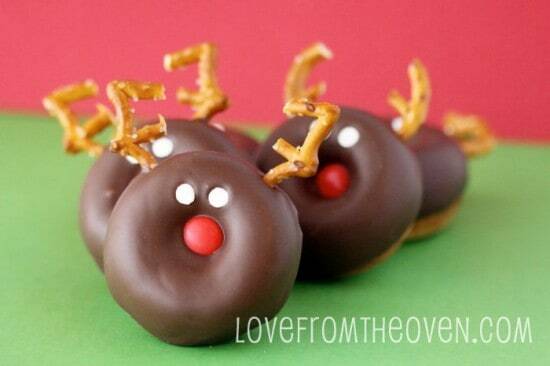 Reindeer donuts and snowman donuts. How cute are they??? LOVE them! 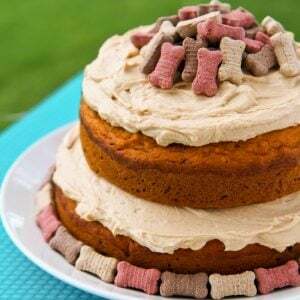 Oh the cute ideas one can find on Pinterest. 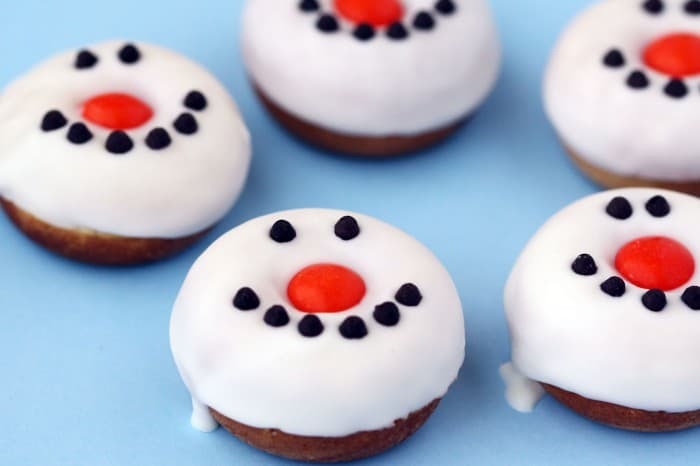 Unfortunately I can’t figure out who the original creative individual was that came up with the cute snowman donuts to give them credit. 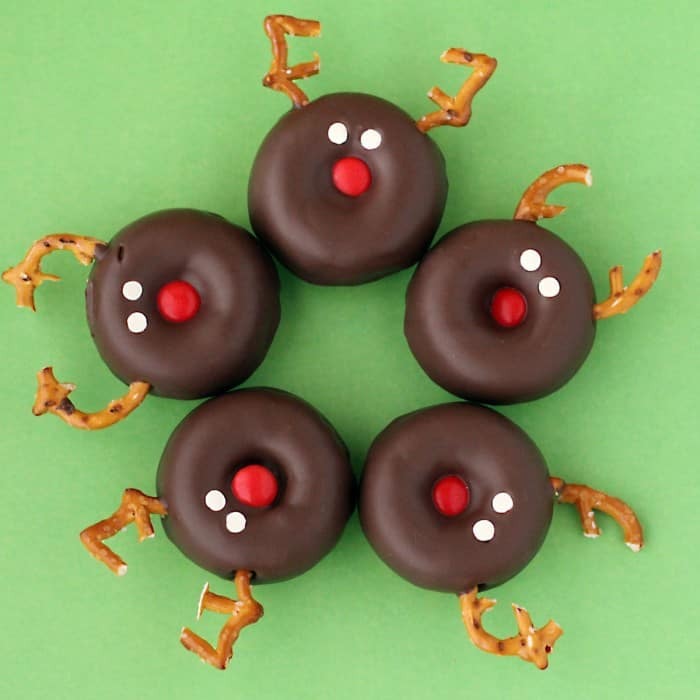 🙁 The reindeer donuts appear to be from Oriental Trading Company. These were both SO easy to make. 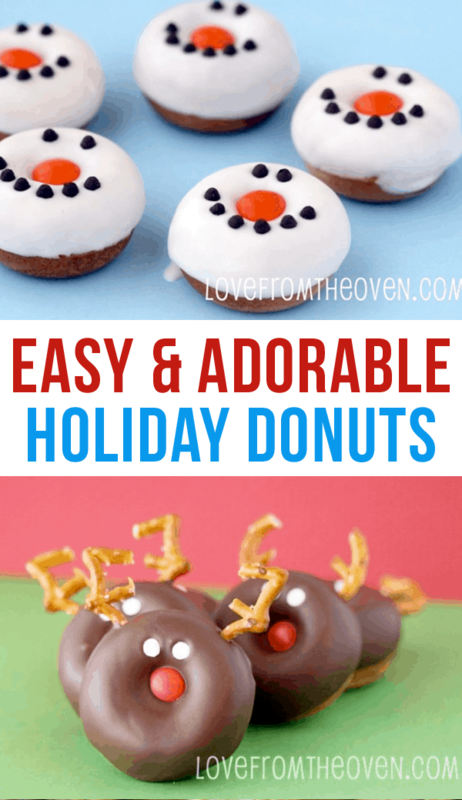 I made the donuts with my Babycakes Donut Maker (I’m giving one away so you can make them too! Head over here to enter to win!) and for decorating I used some melting chocolates, chocolate chips, M&M’s, sprinkles and pretzels. Truth be told you could probably do these with pre-made mini donuts, but I think it’s a bit more fun (and probably works better) if you make them yourself. First make your donuts. Here’s my “how to” post for making doughnuts. 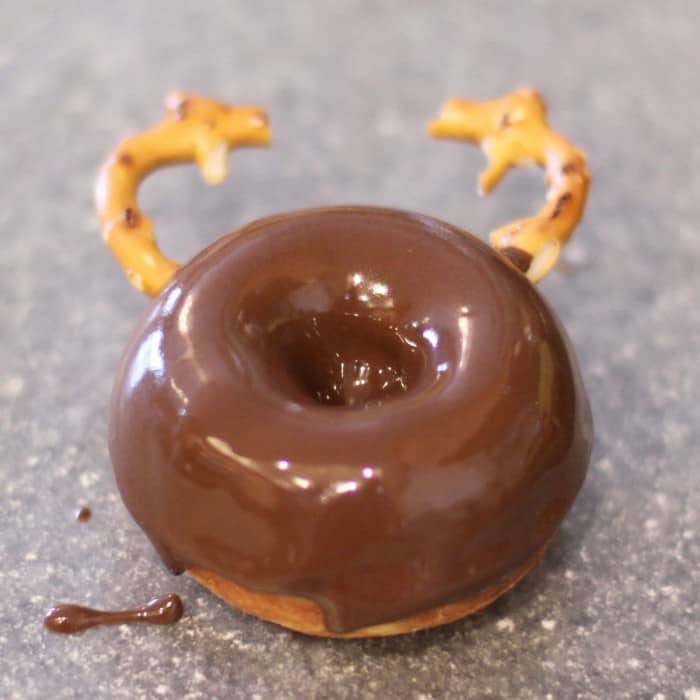 While your donuts cool, prepare your melting chocolate. I used Candiquick for mine. This is also a good time to lay out all of the decorations that you will need. I used pretzels, mini chocolate chips, M&M’s and some white round sprinkles. 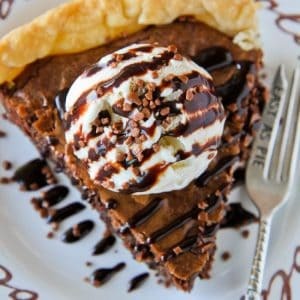 It really is easiest if you have this all ready and don’t have to mess with it when you are working with the chocolate. 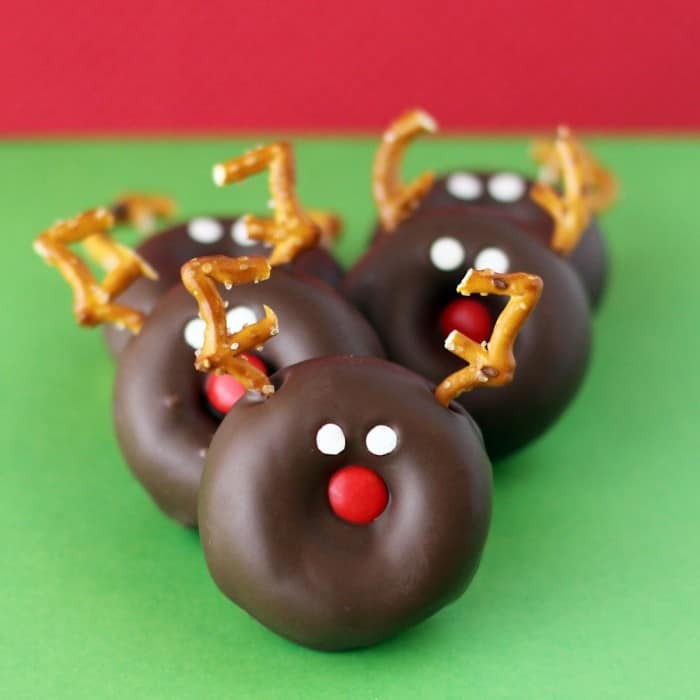 For my reindeer, I poked holes into the donuts with the pretzels before dipping into the chocolate as well. 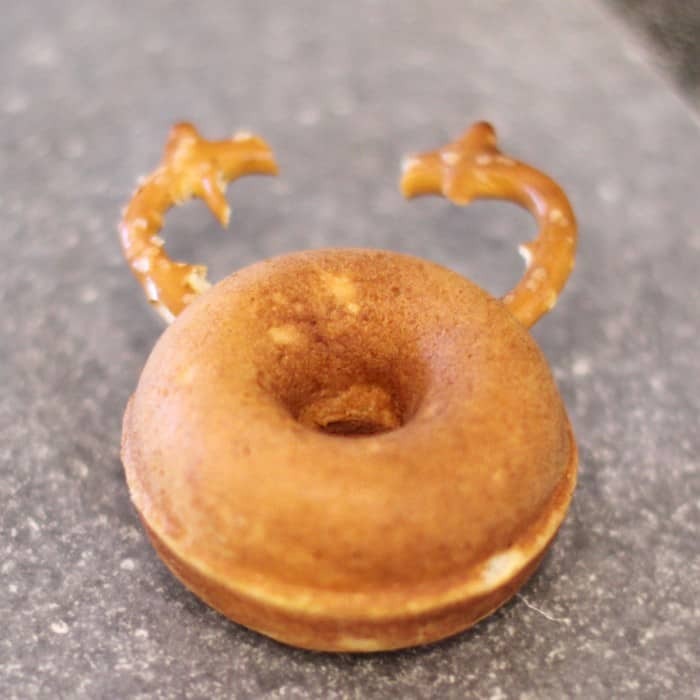 I took the pretzels out to dip the donut, and then put the pretzels back in. The chocolate will sink into the holes, so you can see where to put the pretzels. Next you just put your M&M’s and decorations on. I think I could have probably used candy corn for the noses for the snowmen and it would have been even cuter, but the M&M’s work just fine. 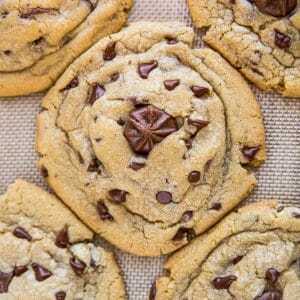 I do have a pair of long tweezers that I sometimes use when I’m using mini chocolate chips like this. I actually find it quicker than my repeated dropping and fumbling of the chocolate chips with my fingers. That is it! Super quick and super cute! My daughter suggested we leave some for Santa on Christmas Eve. Not a bad idea! 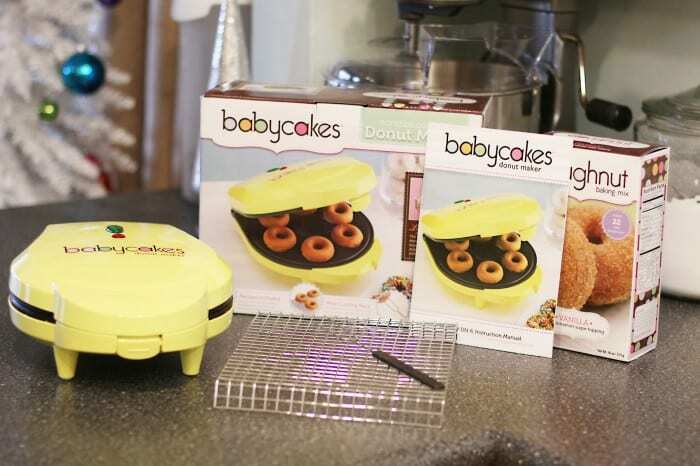 🙂 Don’t forget to enter to win your own Babycakes Donut Maker! I absolutely love these…too adorable! I found one of these donut makers at a thrift store brand new in the box. However there were no instructions or ingredients on how to make the donuts. 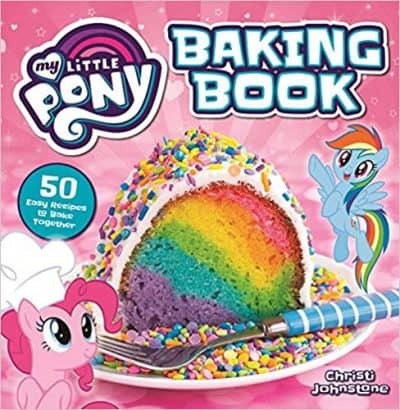 Can you provide me with the basic donut recipe. 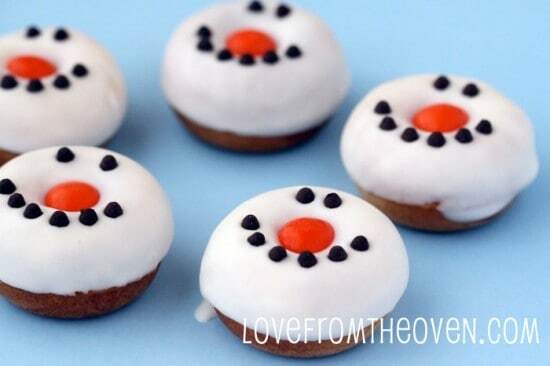 I look forward to making holiday donuts with my granddaughters. Angie – first, great find. 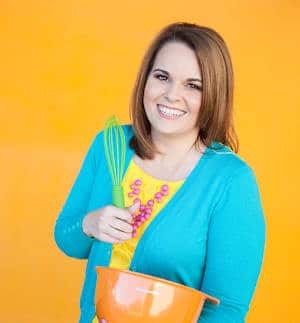 Second, Babycakes is awesome and puts their manuals online (with recipes)… http://thebabycakesshop.com/media/instructions/DN-6_IM.pdf You can also find some recipes on their website, and I’ve made them and love them – http://thebabycakesshop.com/tips-and-recipes/category/recipes/donut-maker/. 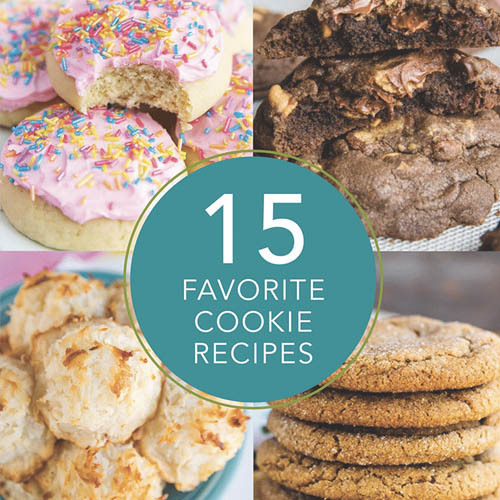 Do you have a good donut recipe rather than the box mix? How cute!!!! Such a great idea! OMG these are so freakin adorable!! I love love love this! what pretzels did you use? 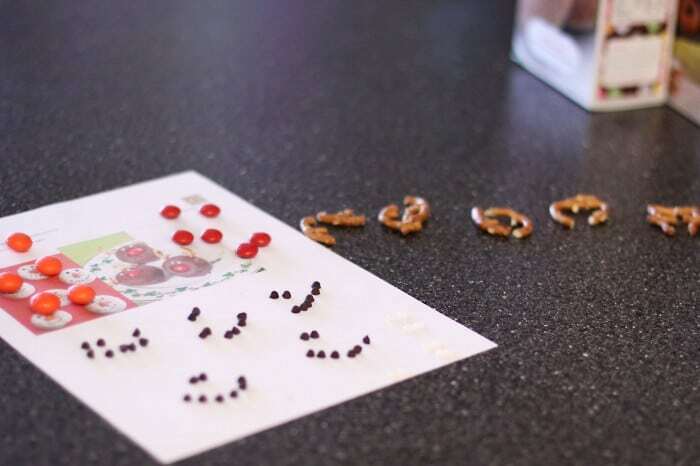 Jessie, I actually used a few pretzels – the little square ones and some Halloween ones I still had on hand. Just broke them up to make the antlers. I would love to have this, wow!! These are adorable! I would love to have one of these ! Too stinkin’ cute!!!! And what a great giveaway!!! oh I would love to make these with my grandchildren. what fun! I love to try this, thank you! So adorable and so smart! Thanks for sharing these adorable creations with me! 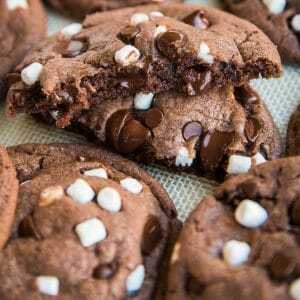 Could you please share them with my readers too? OMG those are adorable!! I just totally LOL’d when I saw them!! 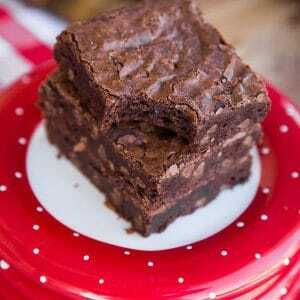 Making these today, for Christmas. I hope they work out 🙂 Excited!! Margaret – hopefully these posts will be helpful…. I just made these since I recieved a Babycakes Donut maker for a present! 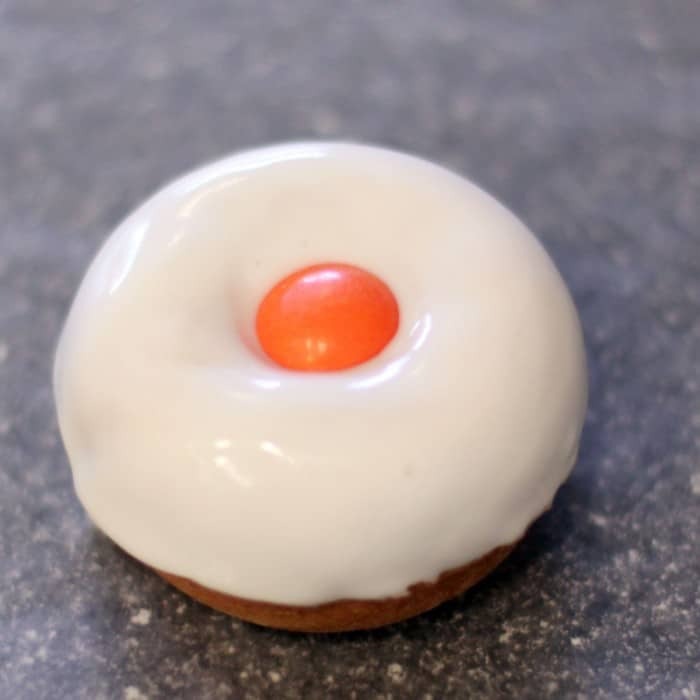 These donuts are very dry, even iced but tastes ok. 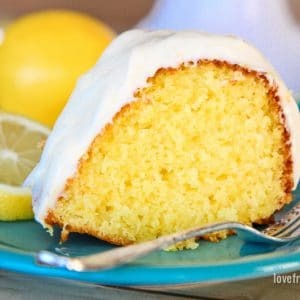 Looking for a more moist recipe! PLEASE REPLY CHRISTI!!!!!!! Did you use the kind of pretzels that look like the big soft pretzels you get at auntie anne’s or did you use the square ones?